Green tea extract is the concentrated active ingredients extracted from green tea. The benefits of green tea extract stem from the antioxidant action of nutrients called "polyphenols". Because green tea is made from the unfermented leaves of the camellia sinensis plant, it has far more of these antioxidants than black tea, which is fermented. Antioxidants help prevent damage to the body that is a by-product of aging and metabolism. The health benefits of green tea extract have been known since ancient times. Green tea has been prescribed for centuries as part of ancient Chinese medicine. For years, western doctors have ignored the wealth of knowledge represented in traditional medicine, discounting it as "folklore" and "old wives' tales". Recent research has made western doctors think twice, though. A number of recent and ongoing studies strongly suggest that the health benefits of green tea extract are very real. The benefits of Green tea extract can help prevent atherosclerosis. Several population based studies comparing cultures that consume green tea in large amounts strongly suggest that green tea helps prevent heart disease. Green tea extract have been shown to lower overall cholesterol while raising HDL - the good cholesterol in a number of animal and human controlled studies. More benefits of Green tea extract - the antioxidants in green tea extract help prevent cancer. The cancer rates in countries like Japan, where green tea is consumed regularly are consistently lower than those in countries that don't drink green tea. Researchers pinpoint the polyphones in green tea as an important weapon in the body's fight against cancer. Green tea extract helps prevent the development of diabetes and slow its progression once it has developed. Researchers in one study fed green tea extract to mice that were genetically engineered to develop diabetes. The mice that ate diets supplemented with green tea extract did not develop diabetes on schedule. 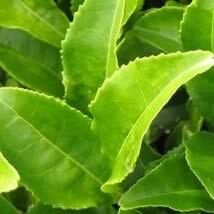 Catechin, the active ingredient in green tea extract, may help in the treatment of viral hepatitis. One study found that men who drank 10 or more cups of green tea are less likely to develop liver disorders than men who don't. Because green tea contains caffeine, most nutritionists recommend using a green tea supplement, or a health supplement that includes extract of green tea along with other nutrients, vitamins and minerals that work together. The proper balance of vitamins, minerals, proteins, amino acids and antioxidants work together synergistically, with each ingredient supporting and increasing the bioavailability and effectiveness of the others. One product that we're very comfortable recommending is Total Balance, a full health supplement from New Zealand based Xtend-Life Natural Products. ZupaFood is another product that contains green tea as part of a superfood supplement. Xtend-Life takes great pride in their own research department, and in offering the highest quality products made from the highest quality ingredients available. Total Balance from Xtend-Life is available in a formulation specifically for men, specifically for women and unisex for men or women. Total Balance offers all the health benefits of green tea extract in a synergistically balanced product that supports your efforts to remain healthy and vital.